After years of waiting, Kingdom Hearts 3 is finally coming out early next year. If you haven't played a Kigndom Hearts game before, possibly because the series is honestly a little intimidating, then Square Enix and Disney have the perfect collection for you. 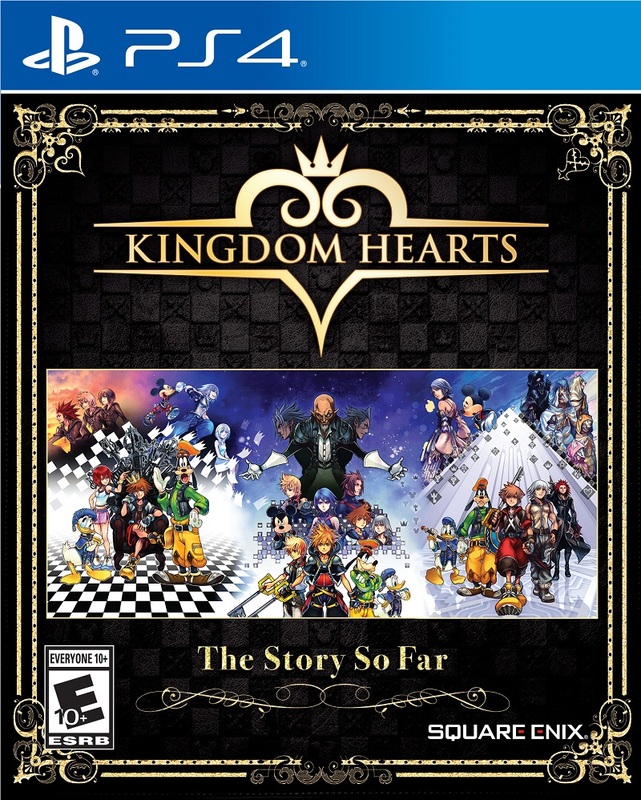 It's called Kingdom Hearts: The Story So Far, and it includes basically every game in the franchise in a single package for PS4. Kingdom Hearts: The Story So Far includes PS4 versions of Kingdom Hearts HD 1.5 + 2.5 ReMIX as well as Kingdom Hearts HD 2.8 Final Chapter Prologue. Here's the breakdown of both editions included in The Story So Far. The Story So Far box art. Not everything included in The Story So Far are games. Some, like 358/2 Days and ReCoded are remastered versions of the cinematics from the title with added scenes. Other like A Fragmentary Passage or Back Cover are movies and other story additions. The collection will let players catch up on the wonderfully byzantine story ahead of the release of Kingdom Hearts 3 on January 29, 2019 for both PS4 and Xbox One. Kingdom Hearts 3 includes new Disney worlds for recent films like Big Hero 6 and Frozen. Meanwhile actors from both the Disney films and past Kingdom Hearts games will reprise their iconic roles for Kingdom Hearts 3. Kingdom Hearts: The Story So Far is available for pre-order now on October 30 for $39.99. For more, check out our Kingdom Hearts 3 guide for trailers, previews, news, and everything we know about the upcoming Square Enix Disney crossover. Tagged with News,	PlayStation 4,	Square Enix,	The Walt Disney Company.